Learn improv from comedian Julia Stretch. Learn Improv from Diana Francis writer on Corner Gas. 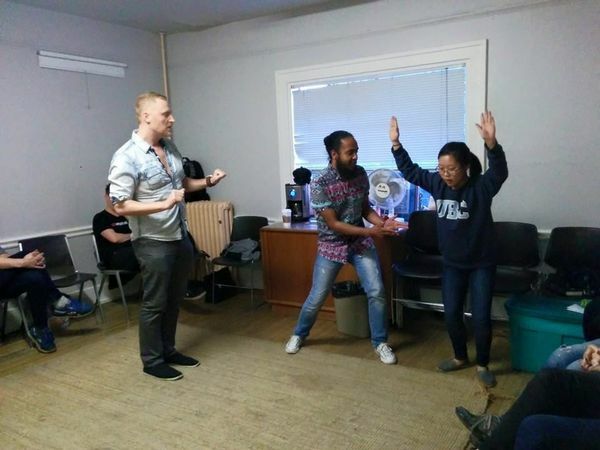 Learn Improv from some of the best Improvisers in Vancouver! Come out and play with us at Qmunity in a safer space. Workshops are open to new and experienced players. Cost: $10 per person. "Improvisation is an enjoyable and safe environment for an individual to experience self-growth. Through interactive activities and exercises, an individual gets the chance to experience growth on a physical, emotional and physical level. Personal growth not only results in a person becoming an expert improviser, but it also provides the opportunity to transfer this knowledge to other parts of their lives."